This Belley customer is one of the leading companies in the office supply business. With around 35% of their sales being seasonal, demand is often unpredictable and is an issue if products are not packaged to ship fast enough. The boxes made for this client’s products would take up too much usable space if they were stored inside the client’s warehouses. There is no room for mistakes in this business, and so we here at Belley avoid these potential problems for this customer of ours. We do not predict the unpredictable, we prepare for it. In this client’s case, seasonal sales mean different delivery schedules. For example, the beginning of a new school year could increase the demand for office supplies. Our customer then needs to ship more products to meet the demand. However, products cannot be shipped without their packaging. How is this problem solved? Here at Belley, one of our services is our punctual delivery: just enough, just in time. This is a proper solution to late deliveries since our close monitoring of the client’s boxes means we keep the right amount of packaging ready to ship. We guarantee an on-time shipment, so his products will be packaged when needed. Office supplies undeniably need packaging, a lot of packaging. 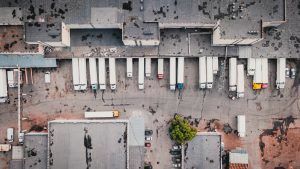 If this client’s warehouses were to contain the products and their boxes, the buildings’ capacity would inefficiently be used and could indirectly reduce cashflow. Being their box supplier, we understand the cost of space and how storing the boxes would reduce useful square footage. To solve this issue, we provide the storage of the products’ boxes free of charge. Also, the customer’s boxes are all precisely monitored in order to deliver to exact quantity of boxes needed, at the right time too of course. To conclude, our devotion, along with our solutions to possible challenges in this sector, is what keeps the business between Belley and this customer going, with already 20 years passed. Our on-time delivery service and careful box monitoring system help the client meet the demand for its products, while our “warehouse ready-to-go” service provides more space and cashflow.